The title is very apt: "America’s Electric Grid Has a Vulnerable Back Door—and Russia Walked Through It". It's so relevant because it describes a very effective supply-chain attack that could happen to your own organization as well. 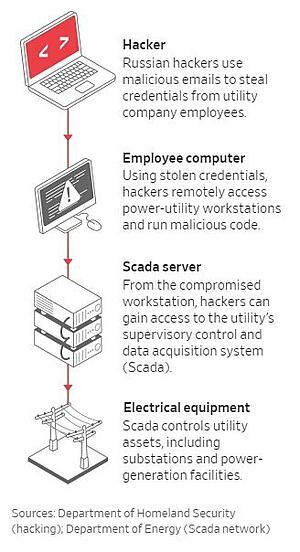 The article focuses on the spear phishing and watering hole attacks that compromised small contractors and giving the attackers a footprint to hack further up the power grid chain. Remember the Target hack? The Wall Street Journal pieced together this account of how the attack unfolded through documents, computer records and interviews with people at the affected companies, current and former government officials and security-industry investigators. Some experts believe two dozen or more utilities ultimately were breached. To keep their business as your supplier, require them to sign up with KnowBe4, and deliver you the evidence that their users have stepped through the 45-minute module and get sent simulated phishing attacks once a month. As you see, I'm dead serious here. This excellent WSJ reporting demonstrates again that your own employees need to be the strongest human firewall possible, and that your suppliers also need to be part of that same defense-in-depth strategy.